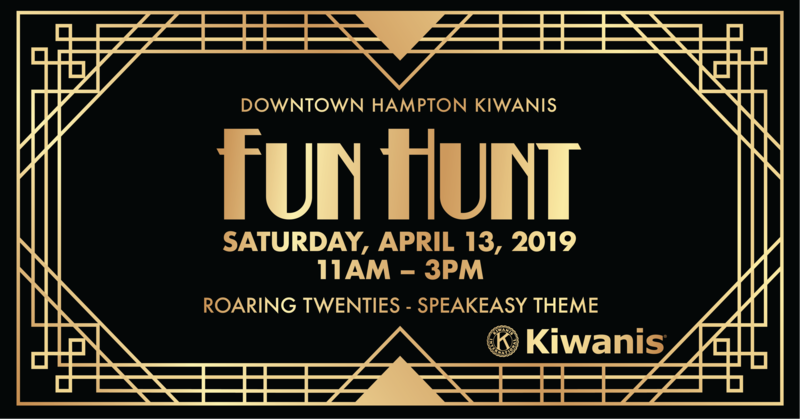 Downtown Hampton Kiwanis FUN HUNT – The Roaring Twenties are Back! The FUN HUNT has been RE-IMAGINED! Exciting Scavenger Hunt added – and more chances to win!